Board Members André Haermeyer and Sabine Pittrof represented the German Australian Business Council at the inaugural EU Australia Senior Leader’s Forum in Sydney from 4th to 6th June 2017 with about 200 attendees from various sectors, including, business, academia, policy etc. 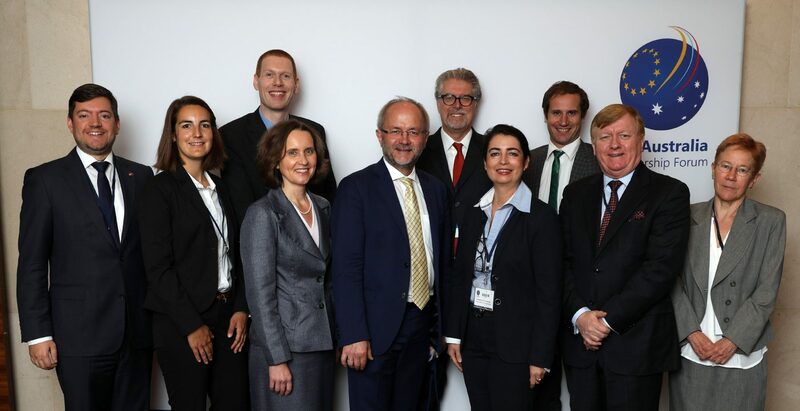 Sabine Pittrof also acted as the EU rapporteur at the “climate, energy and environment” roundtable. The purpose of the forum was to raise the profile of the EU in Australia and to discuss common challenges and shared values. The high profile event provided an excellent networking opportunity both with fellow European delegates with an interest in Australia and the Australian delegates with an interest in Europe. It was also an opportunity to present German Australian Business Council views on various policy issues. Several of the connections made have already agreed to act as speakers at Business Council events. So watch this space for event announcements.